ProxMate is add-on which lets its user bypass the geo-location based restriction to access your favorite content or service(s). 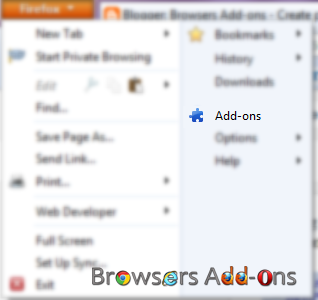 ProxMate is available for all the popular browsers like Google Chrome, Mozilla Firefox and Opera. Why you should use Proxmate (according to author)? Faster – Claims to be faster than VPN. Pluggable – ProxMate allows you to pick exact package of the service(s) which you would like to access. Secure – SSL will stay SSL. Open Source – No more secrets. 1. 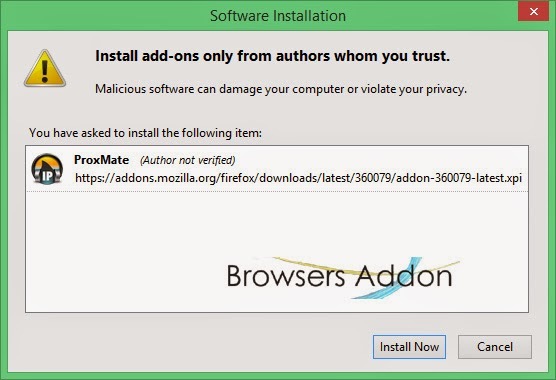 Go to ProxMate Mozilla add-on page, or simply click on the above download link and click on “Add to Firefox“. 3. 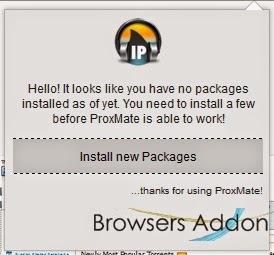 ProxMate installation box pops-up. Click “Install Now” to continue installing add-on, “Cancel” to abort installation. 4. 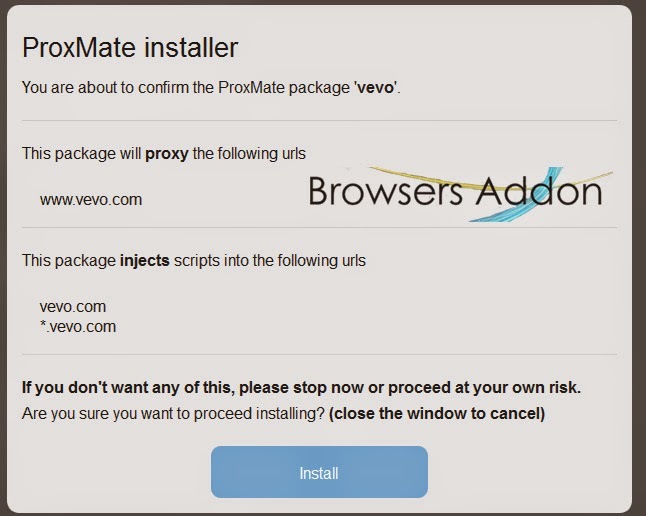 On successful installation, ProxMate doesn’t require restart to activate the add-on. 1. On successful installation, you will notice ProxMate button at top right side of the browser, next to Mozilla’s “Open menu“. 2. Click on it to install the package(s). You need to install specific package to bypass specific service restriction. For sake of testing, I tried Vevo. 3. 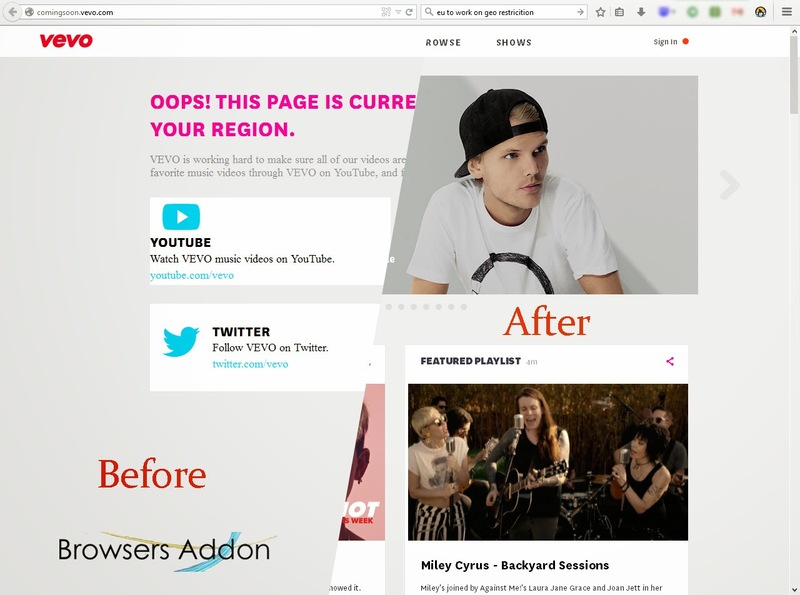 Before and after installing the ProxMate’s Vevo package. Previous story Read, Reply, Mark, Delete Emails right from the Browser with Gmail™ Notifier Plus Extension.